Mere Fidelity: Can Christendom Ever Be a Good Thing? In case anybody’s been wondering why there have been no posts this week, I’ve been at The Gospel Coalition’s 2015 National Conference for the last few days. I have to say, it’s been a blast, though I am not quite exhausted. 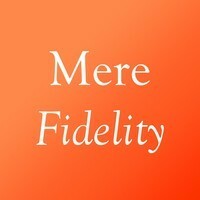 That said, we did record a very interesting episode of Mere Fidelity last week concerning the issue of Christendom and whether it’s appropriate for the Church and the Gospel to have some position of privilege in society, or if so, how? We touch on this in light of recent discussions concerning Church and State, power, marriage, and so forth. Also, Matt wonders whether having a Queen might be a desirable thing. I pray this blesses you. It certainly ought to challenge you.